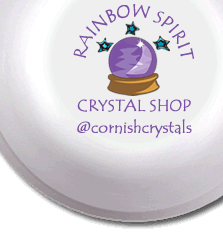 The crystals in this set have been carefully selected to complement each other and for their properties of thanks and appreciation for the role of a Mother. 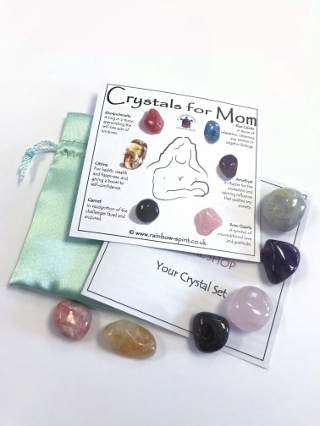 The set includes six 10-20mm stones (Rhodochrosite, Citrine, Garnet, Blue Calcite, Amethyst and Rose Quartz) with a pouch, and comes as a set with an 8x8 cm card print of the poster showing information to explain each stone. Choose between Standard Shipping (no tracking number) or upgrade to Tracked & Signed For. Both services take 10 days to the US and abroad (2-3 days within the UK).